Left to right, Lionel Lightbourne, Rob Collins, Dr. Waldo Castro, Elvira Higino, Min. 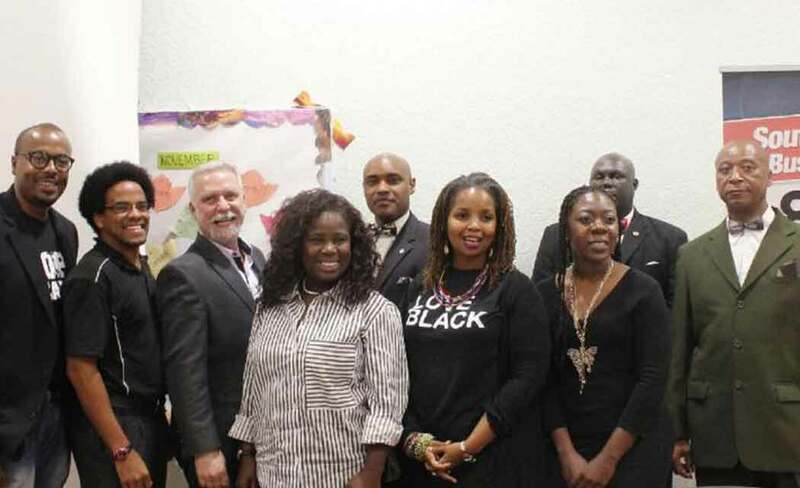 Partick Muhammad, Tameka Bradley Hobbs, Shanae Joyce and Brothers from the Nation of Islam Mosque 29 participated in “RACE-STORATION,” a community forum at the Charles Hadley Park Community Center on Nov. 12. A diverse group assembled to answer President Obama’s call for ongoing racial dialogue to help heal the strife present in the nation’s race relations. Moderated by Lionel Lightbourne, from the Belafonte-Tacolcy Center, the purpose of the event was to begin a proactive approach to resolving racial tension instead of the usual reactive response stemming from a community crisis.